Your dish is my command. 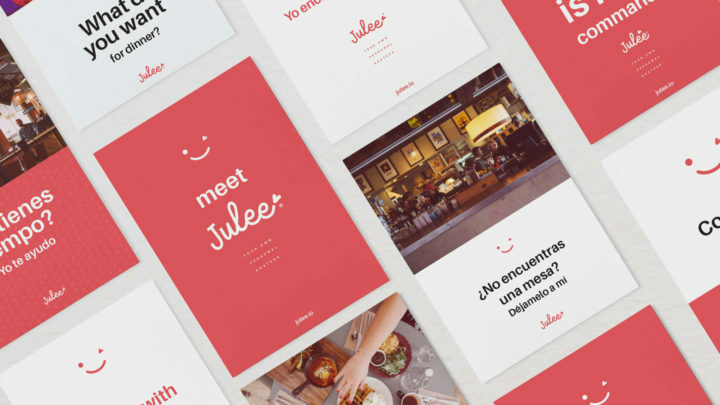 Julee is a mobile app that serves as a digital hostess that helps you find your table at restaurants. We began our engagement with brand development, UI/UX and web development and continued to develop a successful communication strategy. We designed a conceptual branding that would be friendly to the user. Personifying the brand in a conceptual and visual manner allowed us to make an approachable design. To create a seamless experience throughout the website, we created an easy to navigate one scroll page that allowed quick access to download the app. We also implemented an online timer that would show the average time a person saves by using the app to serve as an incentive to the user. Personifying the brand allowed us to make an approachable design.